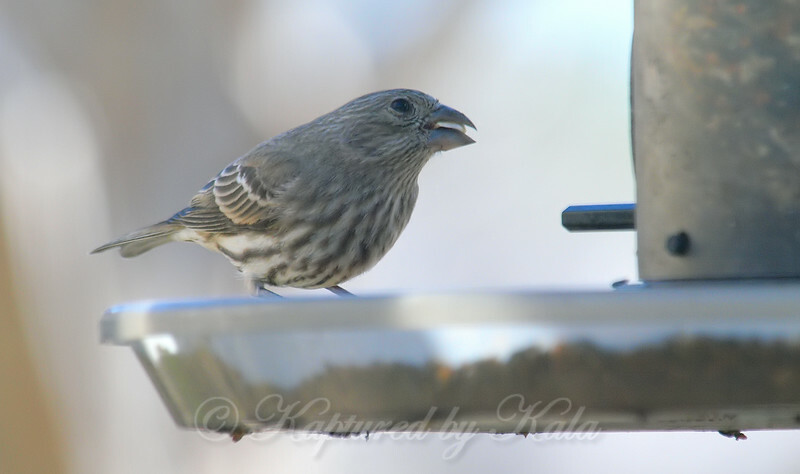 January is when my house finches show back up. A female appeared first. She is on my finch feeder enjoying a safflower seed. No sign of the male yet.